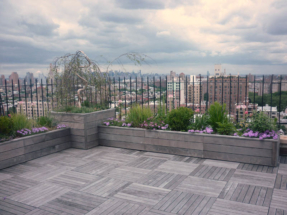 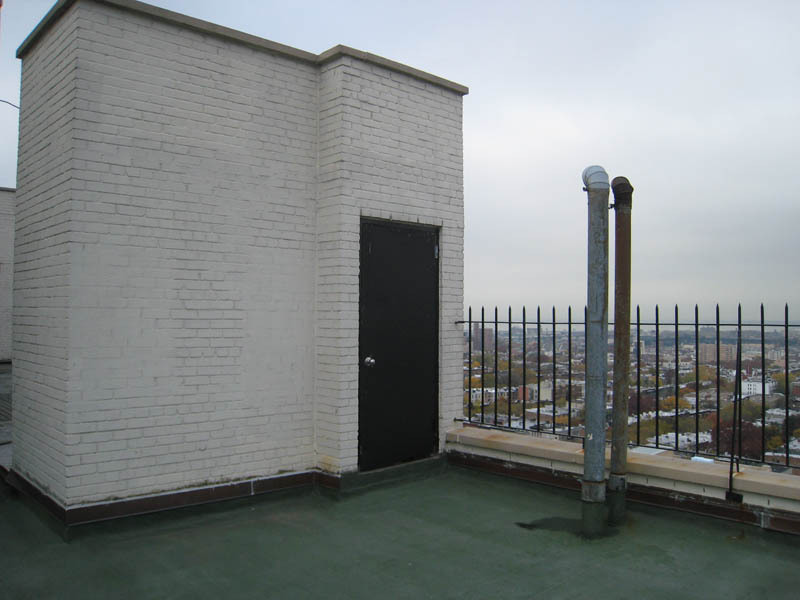 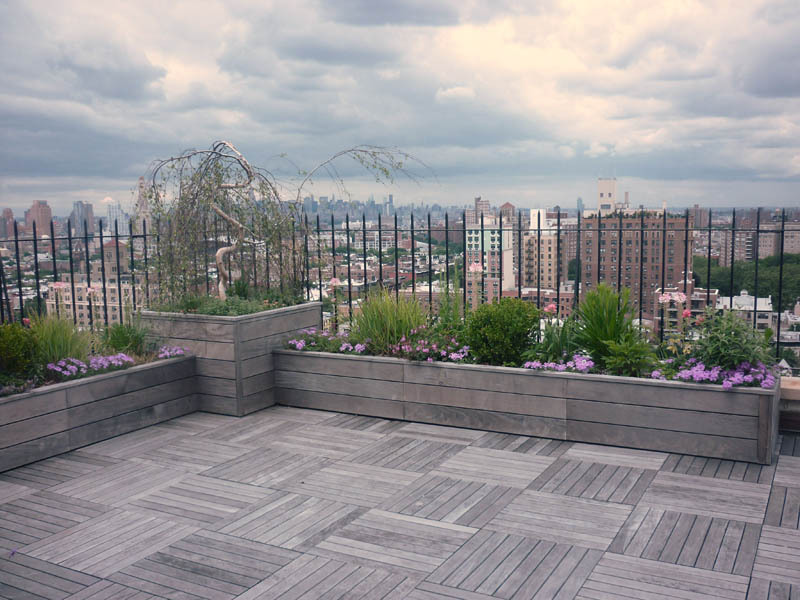 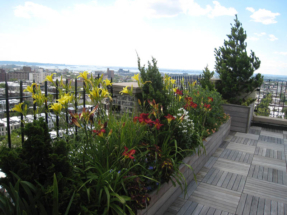 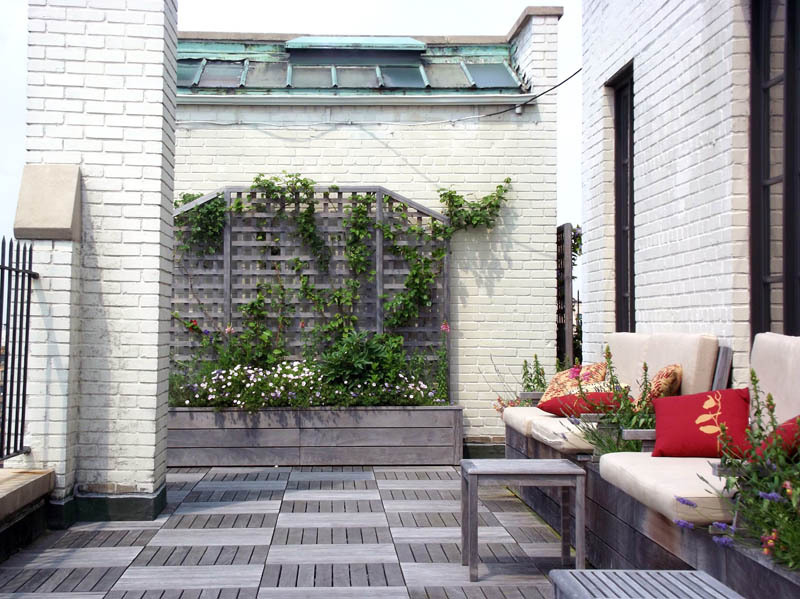 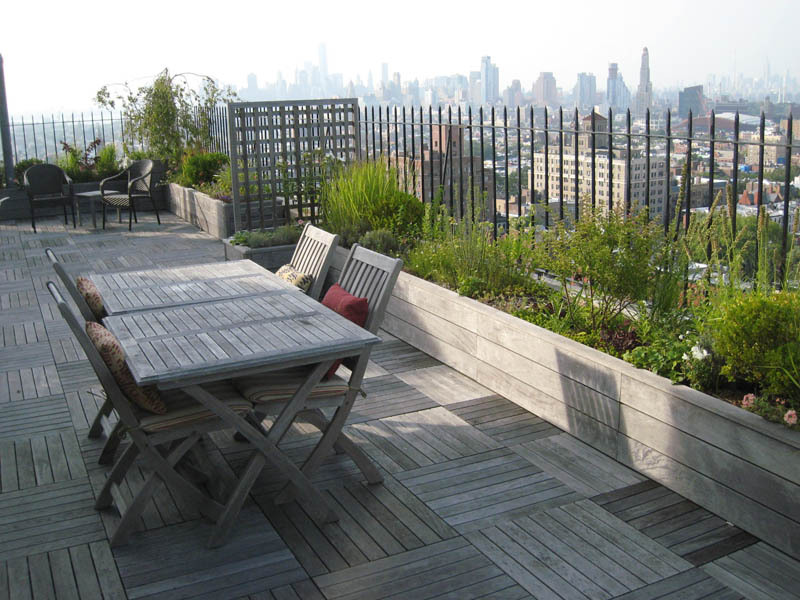 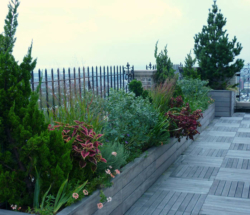 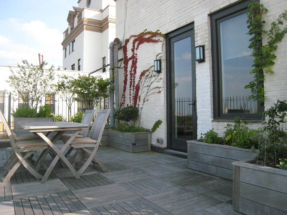 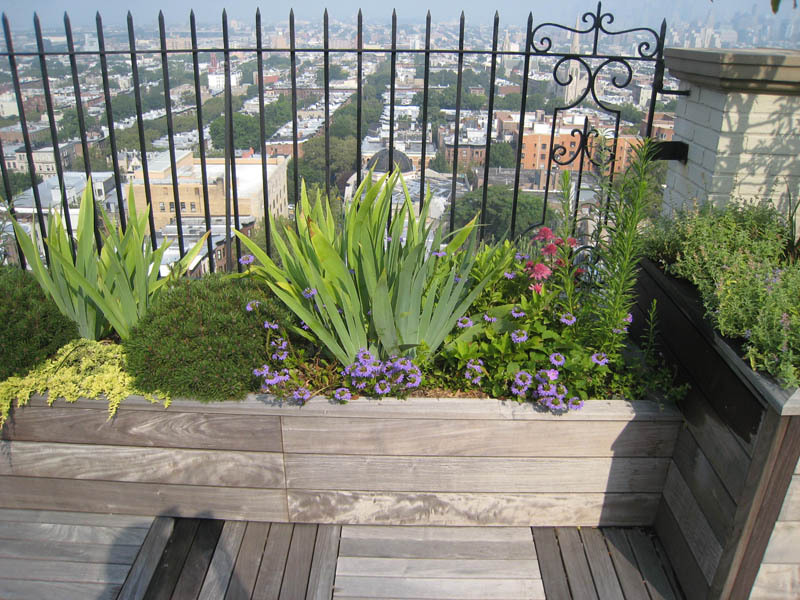 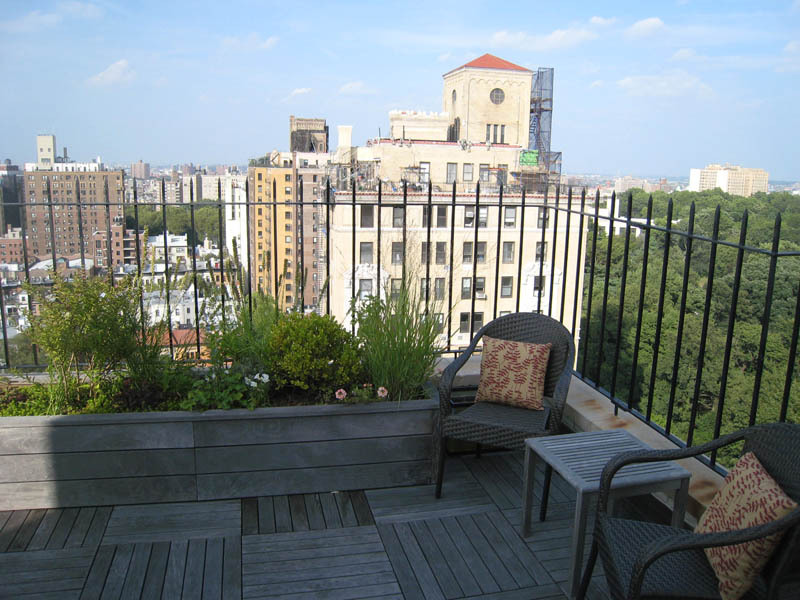 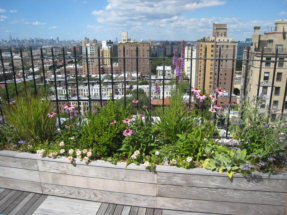 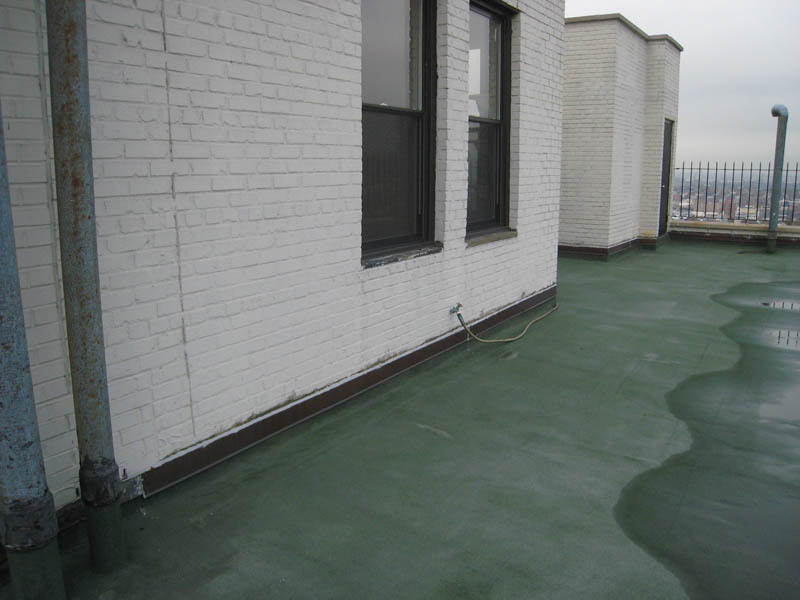 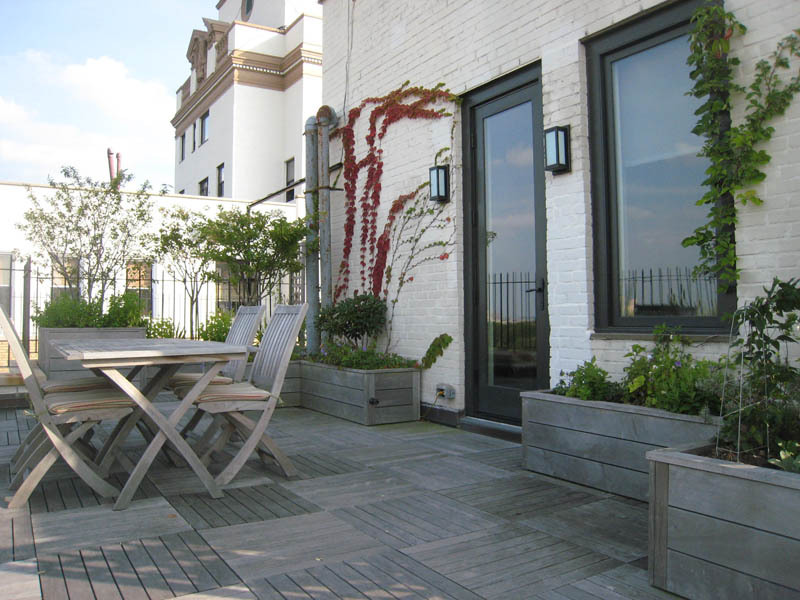 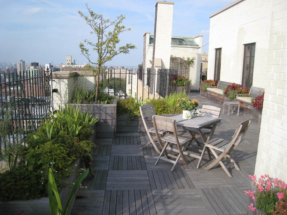 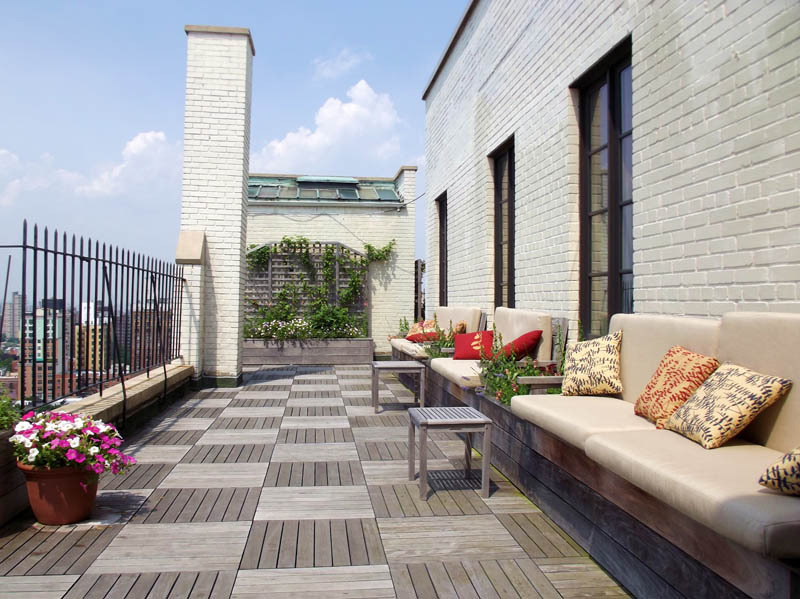 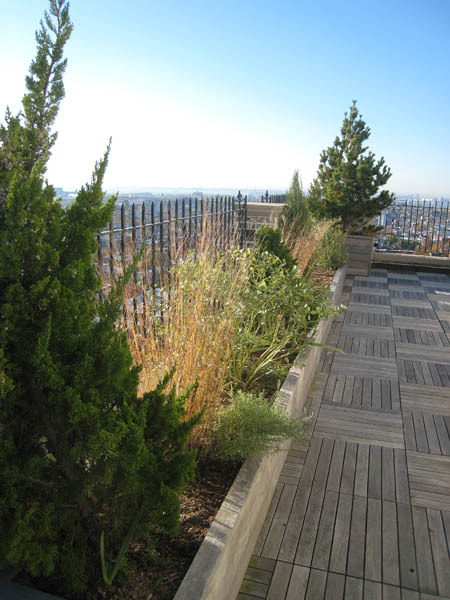 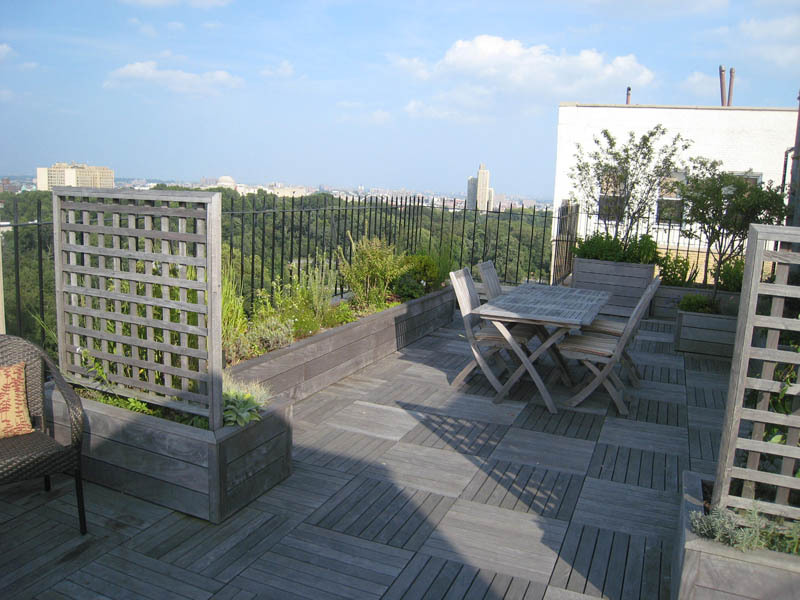 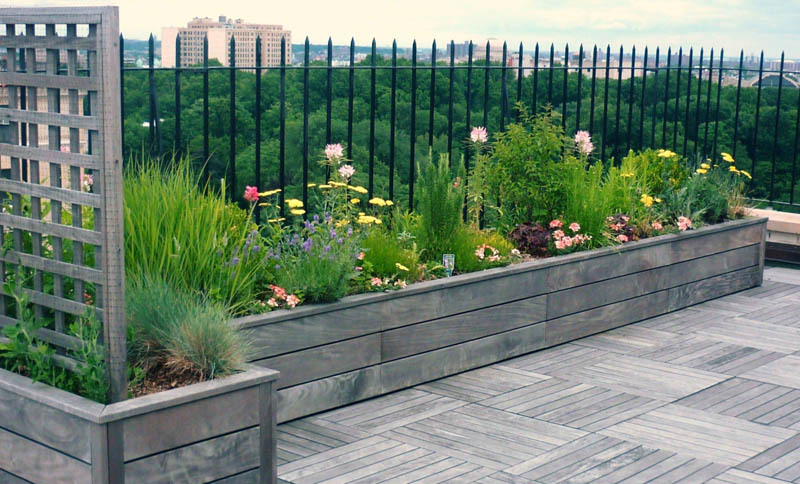 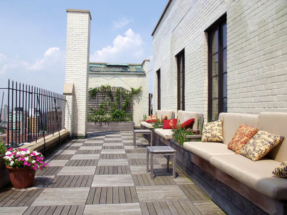 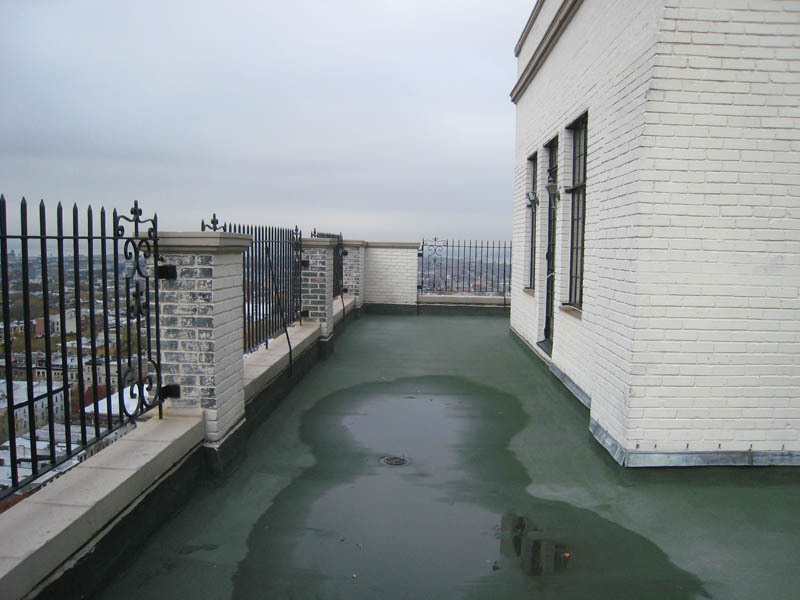 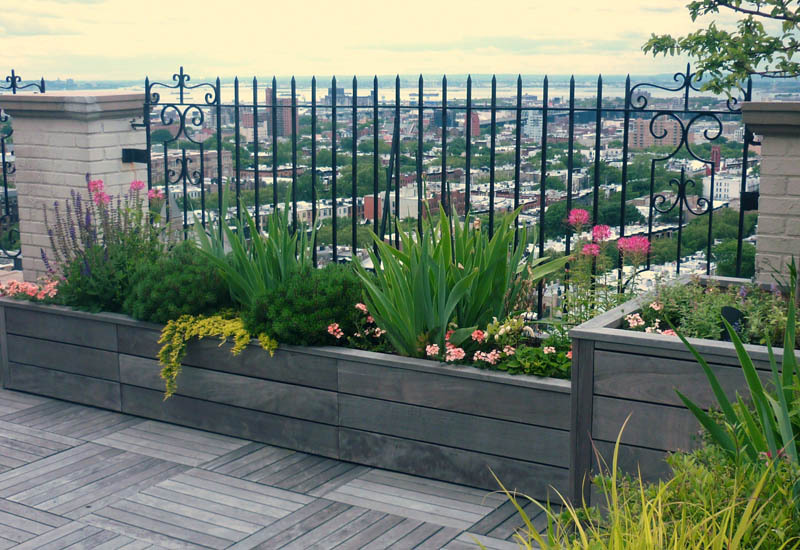 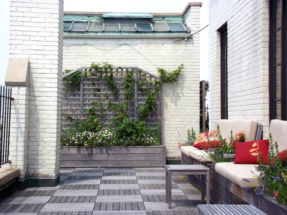 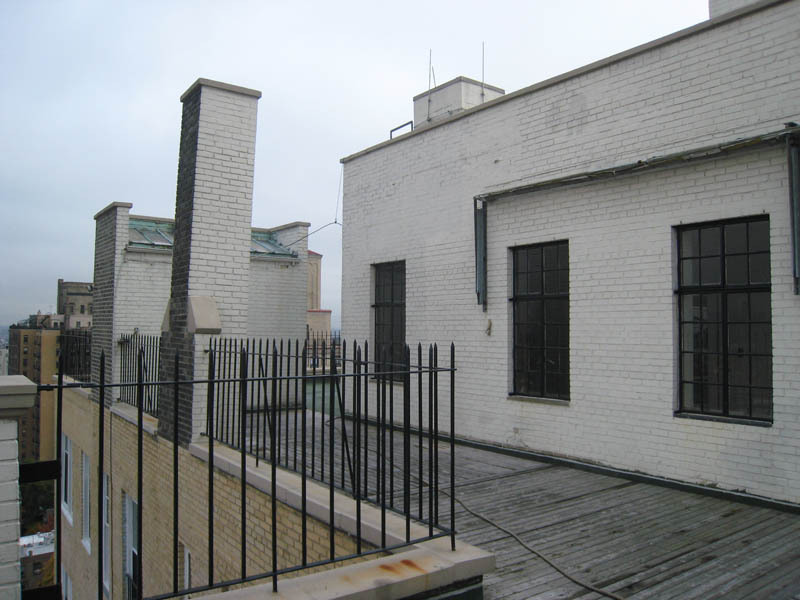 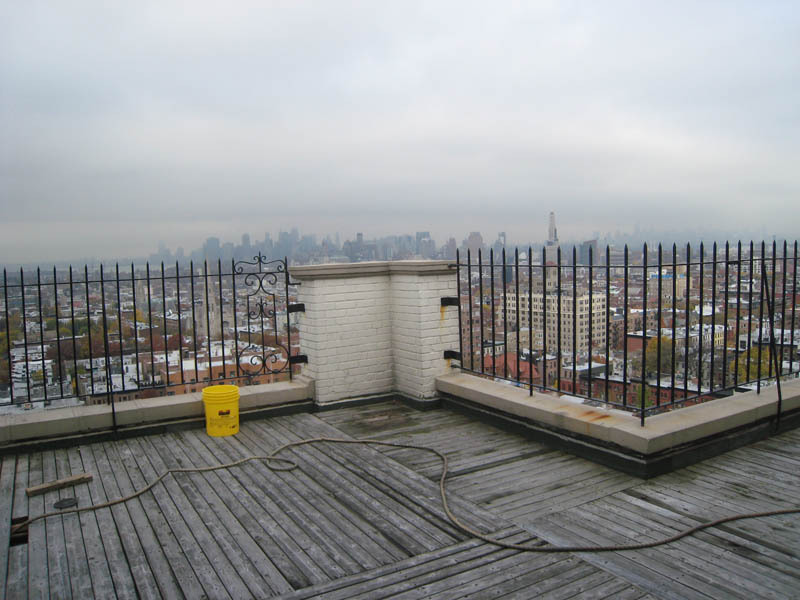 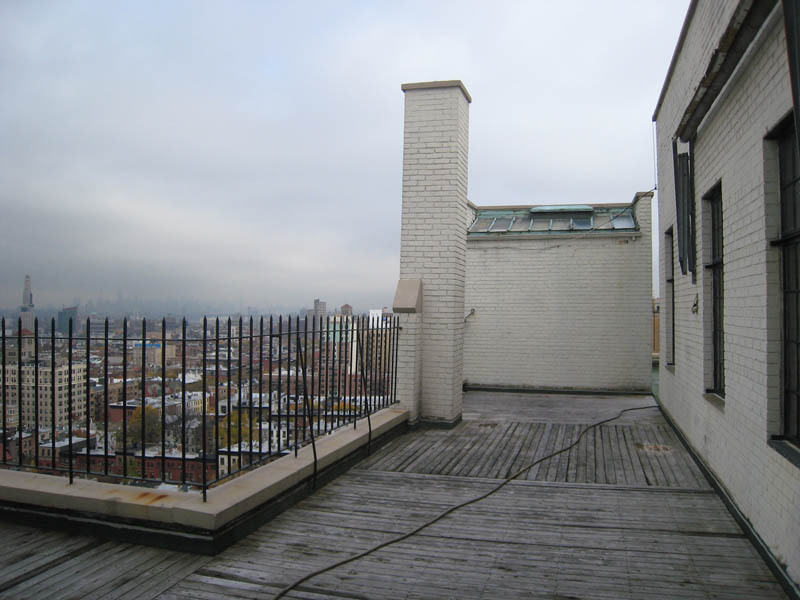 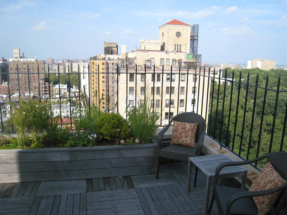 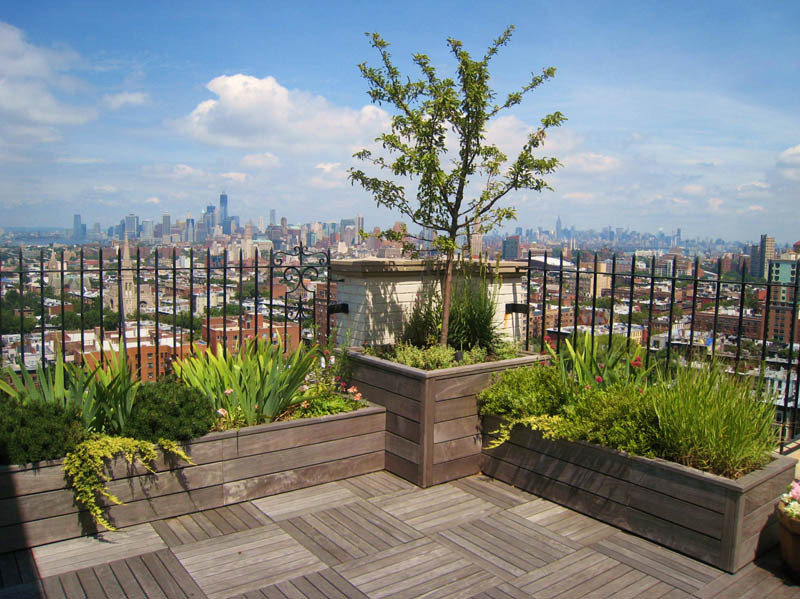 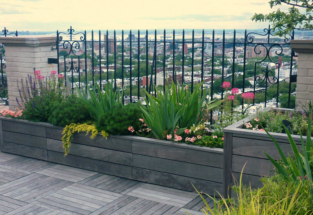 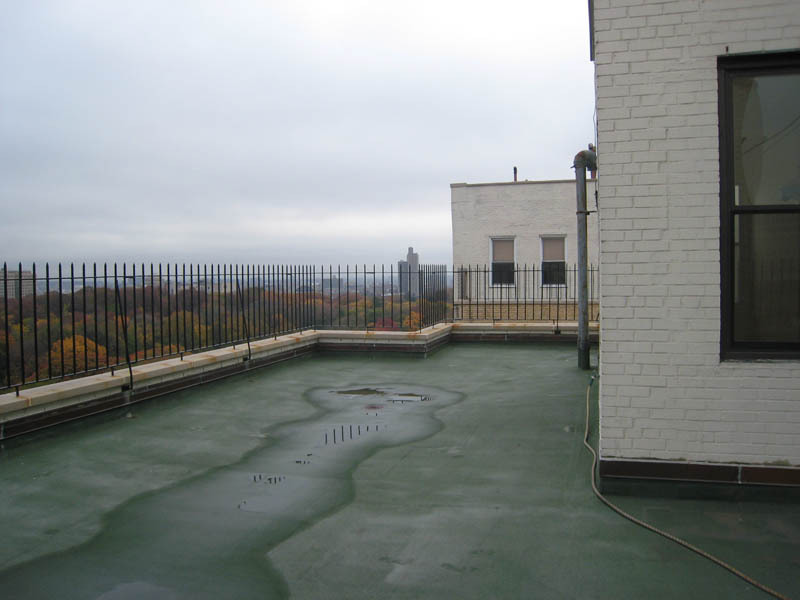 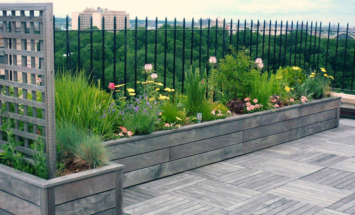 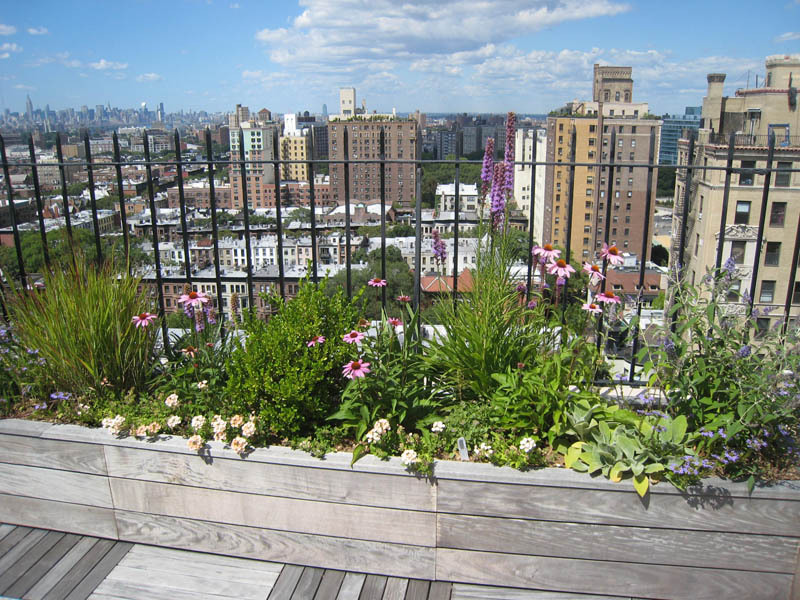 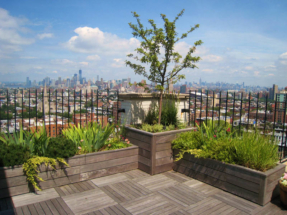 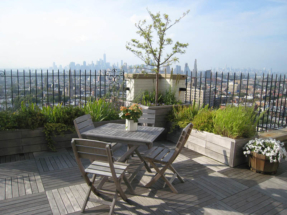 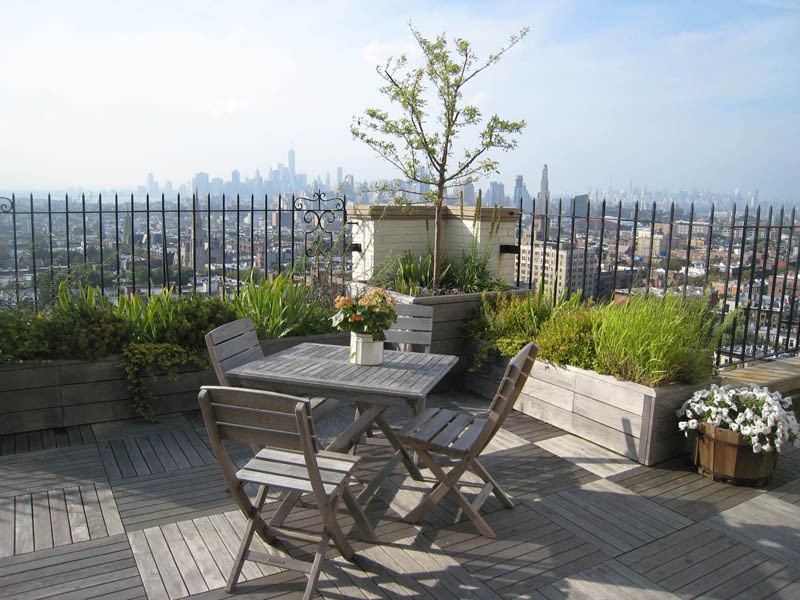 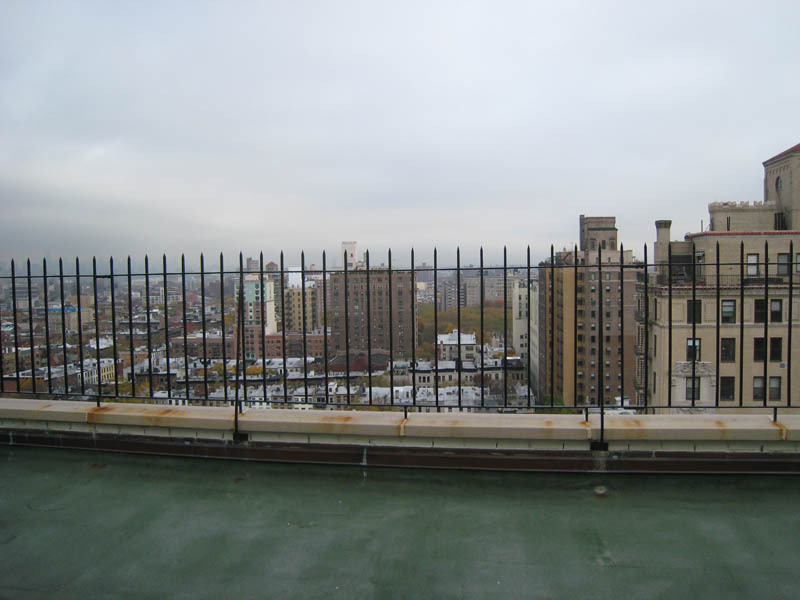 This rooftop terrace was a blank space overlooking Prospect Park. 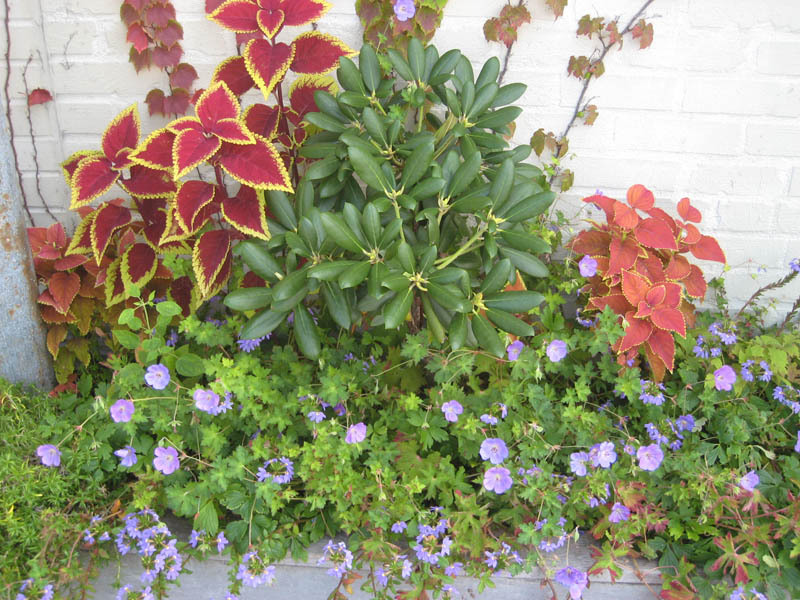 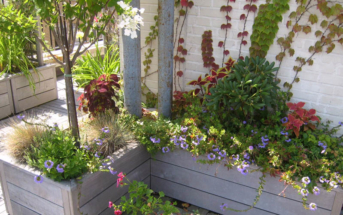 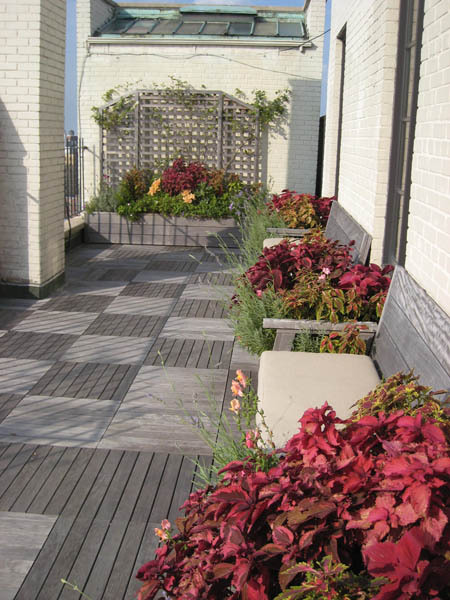 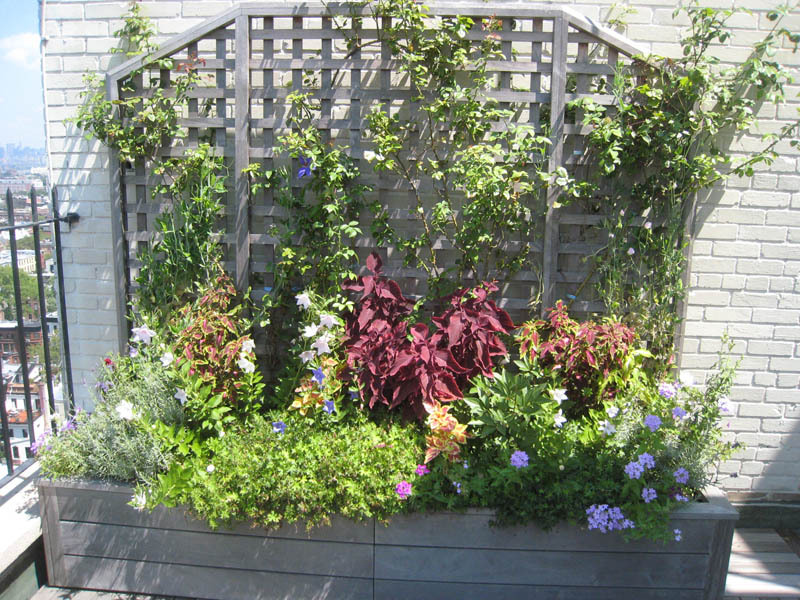 Our use of planter boxes and trellising enclose and separate the space encouraging the growth of beautifully colorful climbing plants. 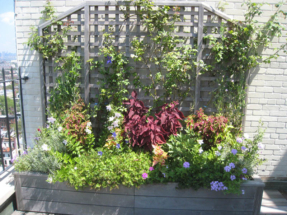 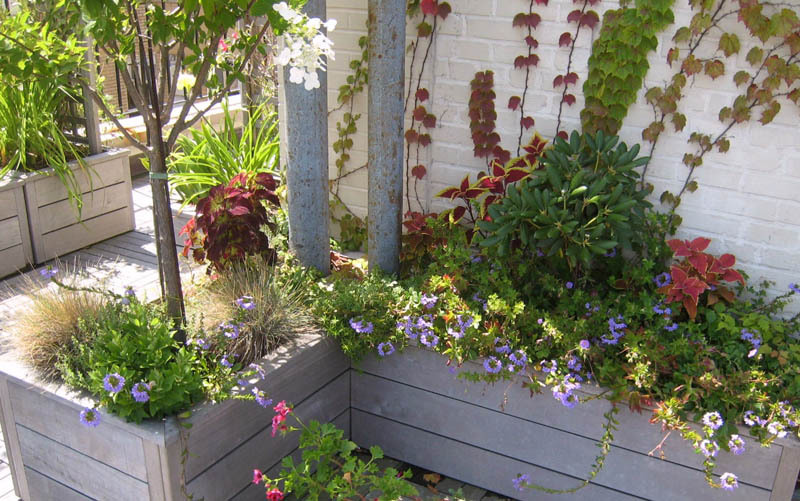 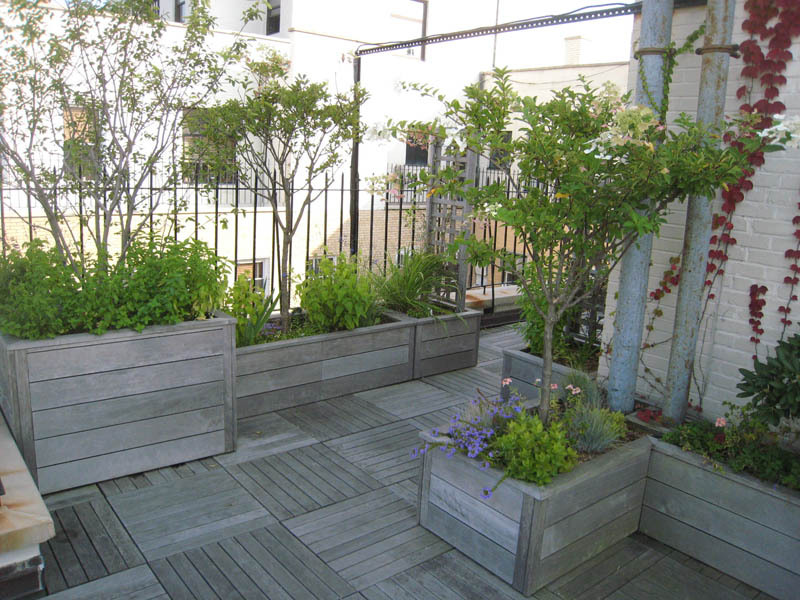 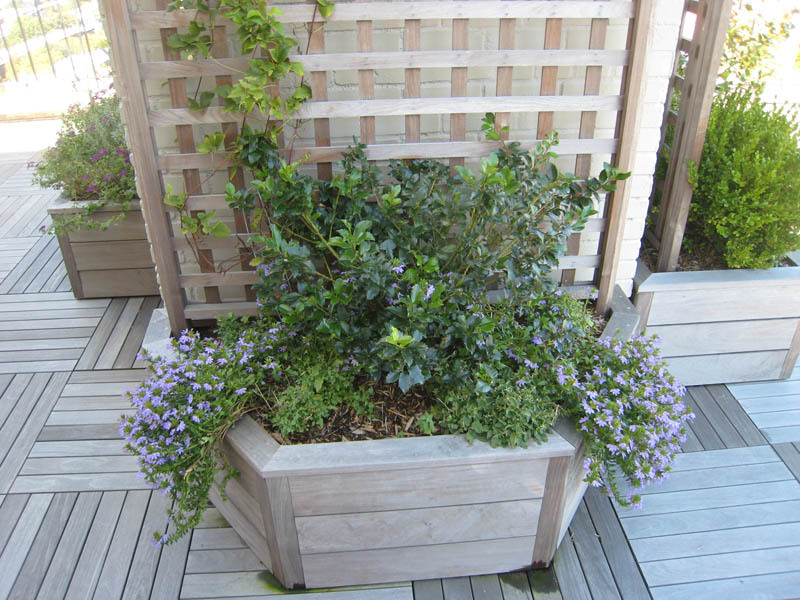 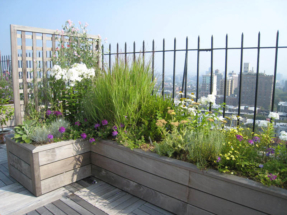 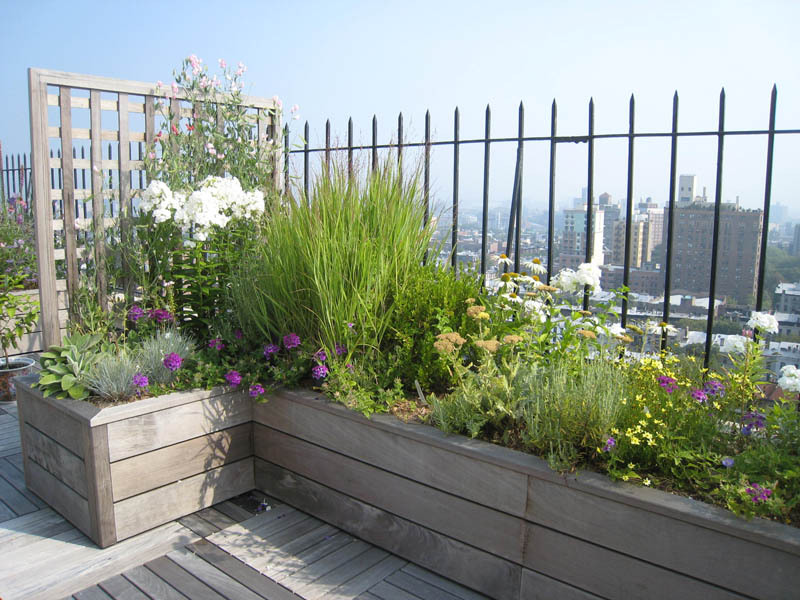 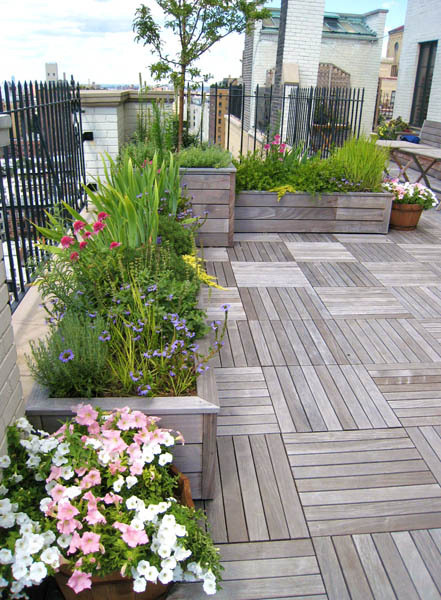 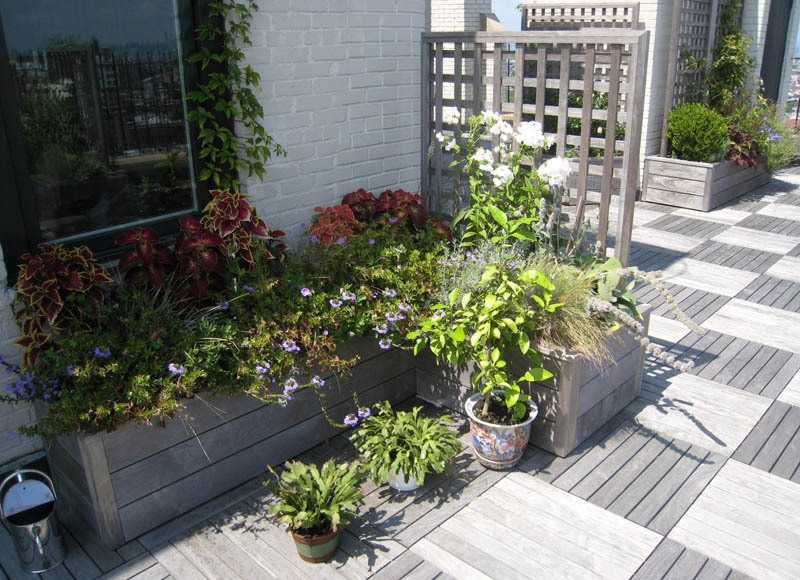 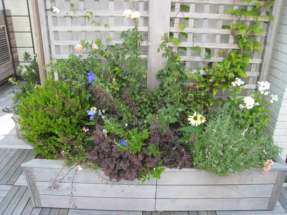 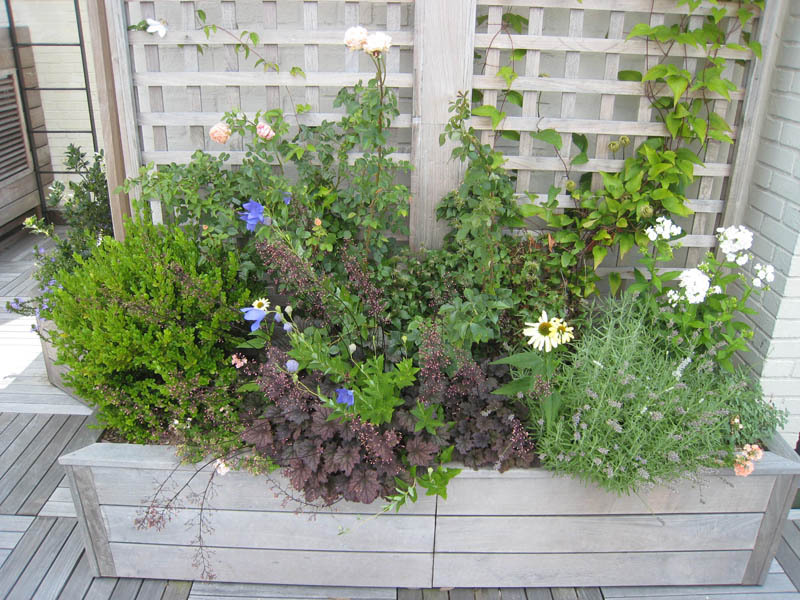 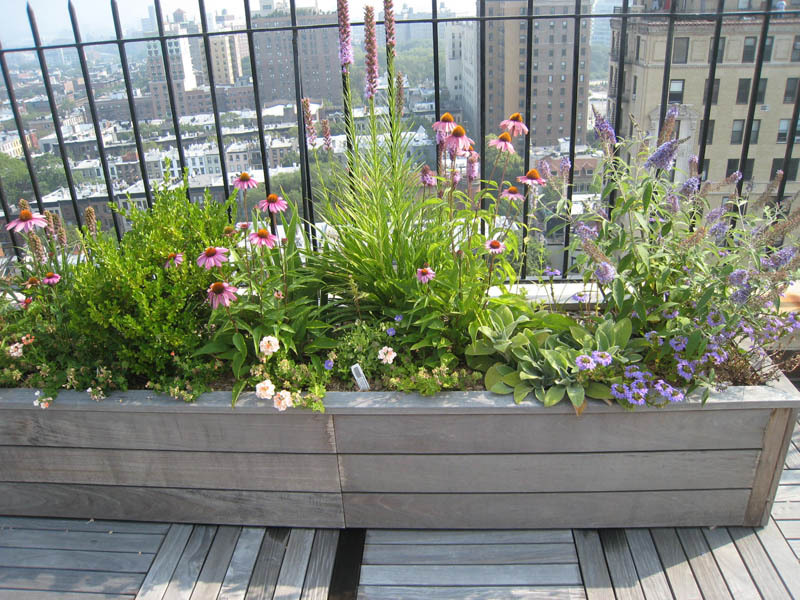 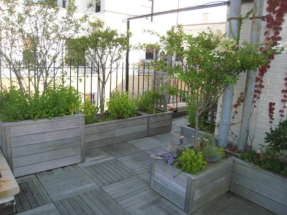 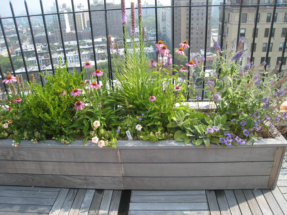 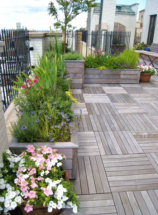 The trellising and built-in storage benches create an enjoyable outdoor environment with protection from the wind.